Home / Skin Care / How to Remove Warts? In this article, we will discuss ways to remove warts naturally. Those unsightly, ugly and stubborn growths that can appear mostly anywhere on the skin, are referred as warts. These can be embarrassing, and this is the reason why people look for remedies to remove warts. But before we move forward to look for home remedies, letвЂ™s get to know more about warts. Warts cab be termed as benign skin growths that are caused due to viruses. The most common virus that becomes the reason of warts is the papillomavirus (HPV), which infects the epidermal layer of the skin and causes it to grow rapidly in an unsightly manner, developing the extra growth into a wart. 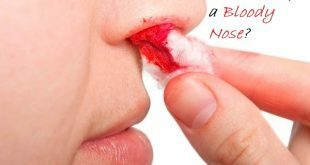 One can easily get in contact with the virus due to open wounds and cuts on the skin, when in contact with the person affected with the virus. 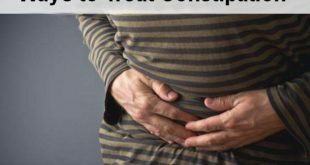 Sharing sanitary and personal items can also get the virus inside your body. Warts is highly transferable in nature and can easily spread from one person to another. Common warts:В These type of warts often occur on the hands. They appear to be rough, dome-shaped, and gray-brown in color. Plantar warts:В These grow on the soles of the feet and are hard and thick with dark specks. They can be painful when you walk. Flat warts:В These types of warts mostly grow on the face, arms, and legs. They appear to be smaller in size and have flat tops. Flat warts may appear light yellow, brown, or pink in color. Filiform warts:В This category of warts can grow on the face, usually around the mouth, nose, or even the chin area. Filiform warts are same in color as the skin, but have thread like growths on them which appears ugly. Periungual warts:В These kind of warts usually develop under and around the fingernails and toenails. So this was just about warts but since we are here to help, lets discuss a few natural home remedies to remove warts. Garlic is known to have natural antiviral, antibacterial, and antifungal properties that help to fight viral infections and thus decreases the appearance of warts. 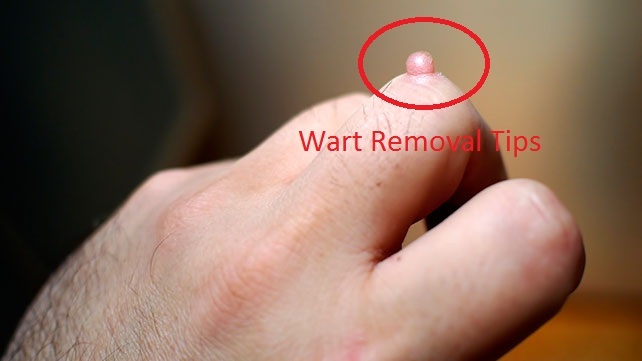 This makes it as one of the best home remedies to remove warts. The caustic and acidic effect of the garlic will cause the wart to form a blister and fall off naturally. Note that larger warts may take a bit longer to heal and fall off. All you need to do is to simply crush a garlic clove and apply it on the affected area. Cover it with a bandage to keep the contents in place. Leave this to show visible effects for about 20 minutes and then wash the area thoroughly with warm water. We recommend you to repeat this remedy twice daily and continue it for about a week. Apple cider vinegar also has antiviral, antibacterial, and anti fungal properties. Repeat this simple remedy for a few weeks. Within a few days, the warts will start turning black. Soon after, the warts will fall off leaving a small mark that will gradually vanish. Vitamin C being highly acidic in nature can easily help to remove warts and fight the virus causing infection. 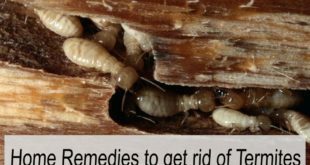 This makes it as an effective home remedy for warts. All you need to do is to crush two to three vitamin C tablets in a bowl. Add water to this to form a paste like consistency. Now, apply this paste on the affected area and cove with the bandage to keep the contents in place. It may cause some irritation on the affected area so no need to worry. Let it work and help you to remove warts naturally. Hot water soak works best to reduce the appearance of warts and help to remove warts naturally. Not just this but a hot water soak also helps to fight the virus that causes infection and further prevent the infection from spreading or worsening. Although, plain hot water will work fine but some white vinegar or Epsom salt mixed with it can make the treatment more effective and beneficial. Before you begin the soaking process, make sure to exfoliate the area with a scrubber or pumice store. Also make sure that the water is not too hot to avoid the burning sensation. We all know that baking soda has natural antiseptic and strong anti-inflammatory properties. Now the presence of these makes baking soda as an effective home remedy to remove warts. This is because of the beneficial properties it possess, which helps to fight the virus causing warts and help to remove warts naturally. All you need to do is, mix a teaspoon of white vinegar with baking soda and prepare a thick paste out of the two ingredients. Apply this paste on the affected area and secure it with a bandage to keep the contents in place. Let this work overnight then wash off the next morning. As an alternative, you can also mix baking soda and castor oil in place of vinegar. Mix the ingredients together to form a thick paste like consistency. Apply this paste on the affected area and secure the contents with a bandage to keep it in place. Leave it on overnight and remove the bandage the next morning. Repeat the remedy for a few days to remove warts naturally. Aloe vera never misses to be on every list of natural home remedies to get rid or treat various health and skin issues. 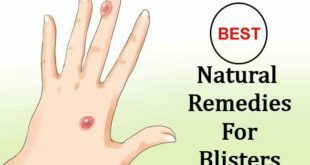 Even the ingredient is present in this list of natural remedies to remove warts. The reason why AVC is so popular is because of the natural anti-inflammatory properties that help to treat and remove the warts naturally. All you need to do is to extract the gel from a fresh aloe vera leaf. Use a cotton ball to apply this freshly extracted gel to the affected area. Now secure the area with the bandage to prevent the gel from getting wiped while sleeping. Repeat the treatment twice a day for a few weeks to remove warts. Now in case you are unable to arrange fresh aloe extract then buy the gel of a popular brand and use it in the same manner. We all know that tea tree oil has strong antiviral and antibacterial properties that prove beneficial for various skin ailments, warts being one of the problems that can be easily treated using this ingredient. 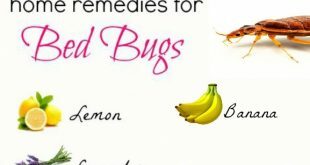 All these properties make it as one of the effective home remedies to remove warts. You can use tea tree oil by directly applying it to the affected area. Bit since the oil is very strong, dilute the oil with some base oil like olive or coconut oil or with simple water. You can also mix it with aloe vera gel and apply to the affected area. 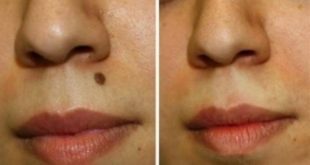 Apply this mixture to the affected area several times a day to remove warts and get rid of it naturally. 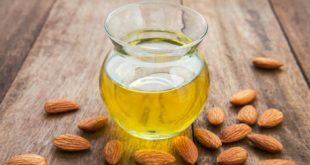 Since the oil gets absorbed into the skin, it will help to fight the virus more effectively and naturally. Pure cold-pressed and organic castor oil can be used to cure various skin problems and getting to remove warts is one on the list of problems that can be cured with the help of castor oil. The main component which proved beneficial is the ricinoleic acid. This beneficial element present in castor oil is known to have natural anti-inflammatory and antibacterial properties. The oil is known to work best on small and underdeveloped warts that appear on the face and the back of the hands. All you need to do is to apply castor oil on the area where warts have developed. Repeat the application several times a day for a few weeks to get rid of warts. While applying, make sure that the affected area is soaked with castor oil for better results. Try this treatment before going to bed. Simply soak a cotton ball in castor oil and place it on the affected area. Apply a bandage to keep it in place. В Leave it to work overnight and then remove the next morning. No need to wash off as the oil will cause no harm to your skin. Now, soak the area in warm water and use a pumice stone to remove the dead skin. 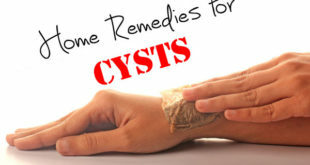 We recommend you to repeat the remedy for as few days to remove the warts and get rid of it naturally. Banana peel is known to have beneficial elements that prove effective to remove warts and keep the skin healthy. This is because of the natural antioxidant properties present in banana that helps to remove the parts. The presence of these chemicals and oils in the banana peel will help to dissolve the wart and initiate a stronger immune system to fight off the virus causing infection to develop warts on your skin. All you need to do is to cut a piece of banana peel and tape it over the affected area. Repeat the treatment as often as possible to remove warts. Applying it before going to bed will prove more beneficial to remove warts and get rid of naturally. For more effective results, use green banana peels rather than the ripe ones. Yet another effective home remedy to remove warts is Basil. Well, Basil leaves are known to possess natural antiviral, antibacterial and anti-inflammatory properties that further prove beneficial to remove warts and get rid of it naturally. All you need to do is to simply crush a few fresh basil leaves gently and rub the crushed leaves on the affected area. To keep it in place, secure the area with a bandage and leave it overnight to show its effect. Repeat the remedy as often as possible to remove warts naturally. This becomes as one of the best and natural home remedies that will help you to alleviate your warts. Now, we have already learnt about various home remedies for warts and below is the gist of what we have learnt earlier. So in case you are feeling lazy enough to read the whole article, here is an in short story to save your time. 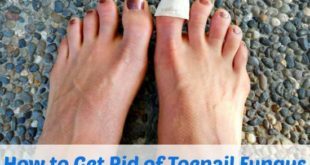 As enlisted, we have a whole list of natural wart removal tips and tricks for you to help to treat warts besides the already popular OTCs which include Compound W, freezing, and other standard techniques. Meanwhile, when you are working on the cure, do not forget to work on prevention at the same time. Try to avoid walking barefoot and do not share personal hygiene items. Also to avoid touching the warts as this can worsen the problem. Boosting your immune system also works best to fight the viral infection and prevent remove warts naturally.В Because warts are caused due to viruses so one of the best ways to get rid of them is to boost the immune system to help the body fight the virus. Many people have even witnessed that warts tend to appear when they fall sick, which is a clear instance of weak immune system. So, make sure that you do everything possible to keep and maintain a stronger immune system. For this, the first step is to take enough sleep and use natural immune boosters to prevent the virus from affecting your body. These potent immune boosters include astragalus, elderberry, olive leaf, vitamin C, zinc, turmeric, and catвЂ™s claw. Apart from all this, you also need to stop the spread.В Not only can warts be passed from one person to another and you can easily spread them around through direct and indirect contact. For instance, if you touch a wart and then you touch another person, before washing your hands, then you are spreading the virus to the other person in contact. You can also use pineapple to help you remove the warts.В All you need to do is, apply fresh pineapple directly to the affected area and repeat the remedy several times a day. 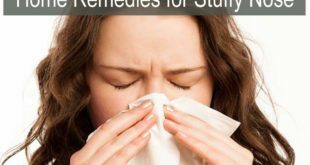 The presence of natural acids and enzymes will help you to fight the virus. Yet another remedy is Garlic.В All you need to do is to mix some fresh garlic with water and grind to form a paste. Apply this paste to the affected area and secure the contents with a bandage to keep them in place. Repeat the treatment after every few hours to remove warts naturally. AS read earlier, baking powder or soda is another beneficial remedy to cure and treat warts.В All we recommend is to form a paste like consistency by mixing water and powder. Now, apply this paste to the affected area and secure the contents with a bandage. Repeat the treatment daily to remove warts naturally and effectively. Vitamins are yet another beneficial options one can use to get rid of warts.В Simply crush up a few vitamin C tablets and mix them with water to make a thick paste. Apply this paste to the affected area and secure the area with a bandage to keep the contents from getting wiped. You can also try vitamin E in place of vitamin C and use them in the same manner to remove warts. Aspirin is another popular ingredient to get rid of warts.В Simple use the aspirin tablets like the vitamin C tablets. Crush them and add a little water to form a thick paste. Apply this paste to the affected area and keep it overnight by securing it with a bandage. Tea tree oil, as mentioned earlier is a beneficial remedy to get rid of warts.В Apply the oil to the affected area to benefit from it. Always use tea tree oil in a diluted form to prevent the inflammation and burning sensation. В After applying the oil to the affected area, cover with a bandage and leave it to work overnight. Repeat the treatment daily to fight virus and get rid of warts. As an alternative, you can also mix clove and/or Frankincense oils for additional power with the oil mixture for additional effects. Bee propolis.В Never heard the name? Well, let me tell you the effective benefits of this ingredient when trying to use it for the treatment of warts. Some people discovered that this ingredient is a great success when applied directly to the affected area. Repeat the remedy several times a day for beneficial; effects. You can also apply this on the affected area and keep it overnight for more effective results. Aloe vera gel provides help to get rid of warts naturally.В Extract it fresh from the plant and use it to remove warts naturally. We always recommend using fresh extracted gel in place of packed products available on the market. Simply break off the aloe leaf and extract the gel from it. Now, rub the gel onto the affected area. The presence of malic acid in aloe is what actually proves beneficial and helps you to remove warts. In case you do not have an aloe plant at home, try asking friends and generally people do keep an aloe pant at home for natural remedies. If in case none of your friends has it then purchase one from the pharmacy. Make sure it is of a popular brand. 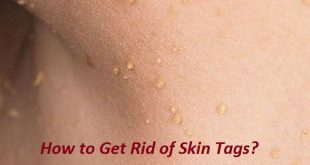 Previous How to Remove a Skin Tag?